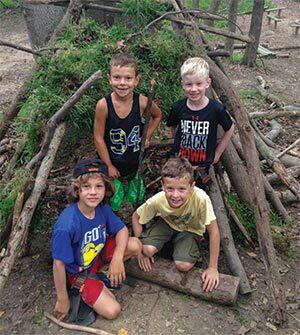 As the Winter rolls on, and Spring starts to get closer, we turn again to thoughts of outdoor adventure in our own backyard. 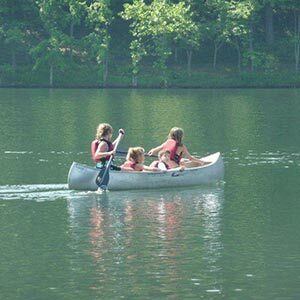 The DC Metropolitan Area is a great location for extreme sport fun and adventure. Here are a few suggestions to help you get your blood pumping! 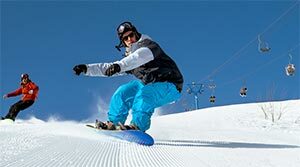 Snowboarding – Take a class and then rip it up at a local ski resort. Try Whitetail, Ski Liberty or Wisp. 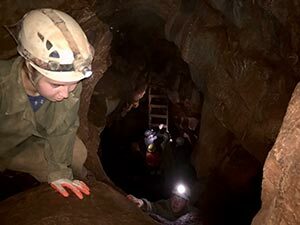 Caving – Venture into an underground labyrinth and explore the beauty of one of the wild caves of West Virginia. Check out an Introduction to Caving program to learn more. 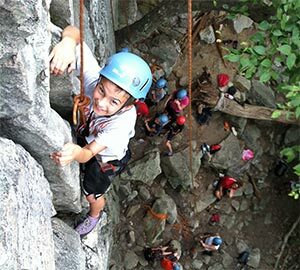 Rock Climbing – Indoors or outdoors, rock climbing in the DC area is easy to find, and offers something for everyone. Give it a try indoors at Earthtreks or Sportrock, and then venture outdoors with one of our top-roping courses. 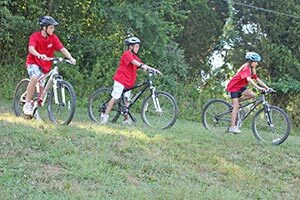 Mountain Biking – The trails at Schaeffer Farms give beginners and advanced riders alike a chance for steep hills and curvy single-track. If you’re new to the sport, check out our Introduction to Mountain Biking courses. 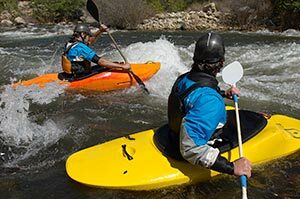 Whitewater Kayaking – World-class whitewater can be found on the Potomac River. If you are new to the sport, or simply want to improve your techniques, check out the instruction courses offered by Liquid Adventures and Potomac Paddlesports. 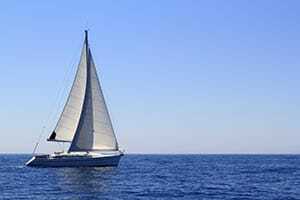 Sailing – Travel down to the Eastern Shore of Maryland and enjoy a day of sailing. Learn to sail with Annapolis Sailing School and you can join a club that meets to sail near the Chesapeake Bay. 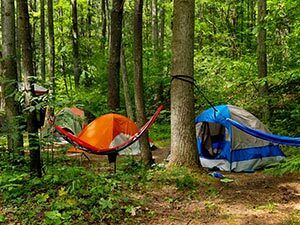 Backpacking – Hike Shenandoah’s Blue Ridge trails, or venture out to Western Maryland to enjoy the trails near Blackwater Falls. If you are ready for wilderness travel, sign up for a Backpacking Adventure and take a long weekend on the trail. 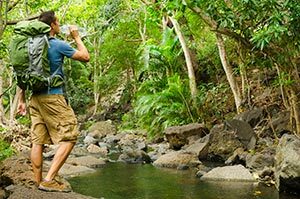 Wilderness Survival Instruction – When you’re ready to transition your camping from “car camping” to “backcountry” it’s time to brush up on your Wilderness Skills. Multi-Sport Adventures – With so many adventures to choose from, who wants to do just one? Sign up for a multi-sport adventure and you could be climbing today, camping along the trail tonight, and caving tomorrow morning! 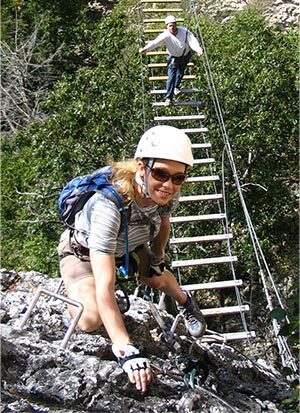 Via Ferrata – combining rock climbing, hiking and ropes challenge course into one amazing adventure, the Via Ferrata (Iron Way) is an excellent introduction to the excitement of mountain face travel. Recreational Tree Climbing – Trees are plentiful in the DMV, and with plenty of deciduous species all up and down the mid-atlantic, you don’t have to drive very far to find a good tree for climbing! 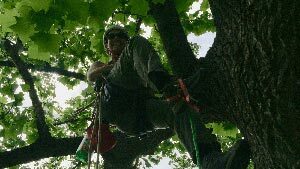 A Tree Climbing clinic will show you the ropes! There is a world of outdoor fun available within a 5-hour drive of Washington, DC. With so many opportunities, so close by, people with little money to spare can still enjoy a big adventure.